Earlier this year, Apple launched the iPhone 6 in its 32GB storage variant in India. At that time, the Cupertino giant made it available only in Space Grey, but now the 32GB variant has also been made available in Gold. The Gold colour variant is being sold exclusively on Amazon India, and is priced at Rs. 26,999. The smartphone premiered in the Amazon Great Indian Sale that ended on August 12. After making it available for a discounted price of Rs. 24,999 for one day only, the iPhone 6 is now available for Rs. 26,999 exclusively on Amazon India. Amazon India has listed an exchange offer of up to Rs. 19,600, with a guaranteed Rs. 2,000 extra off on exchange of your old smartphone. No Cost EMI offers for three to six months have also been listed on specific bank credit cards as well. 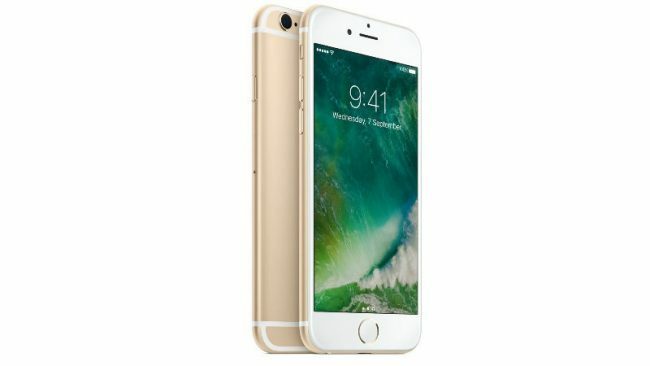 Vodafone is also offering 45GB of additional data to its subscribers on purchasing the Gold iPhone 6 32GB variant from the e-commerce site. You can avail this offer by buying 1GB or above 4G data pack and getting 9GB additional free 4G data for five recharges with maximum validity of five months. In case of prepaid connection, the 9GB free data gets attached automatically, while in case of postpaid connection, 9GB free data gets attached within 48 hours. The iPhone 6 had originally launched only in 16GB, 64GB, and 128GB storage options, but the new 32GB variant showed up in India and a few other countries only recently. The iPhone 6 was launched in September 2014, and runs on iOS 10 out of the box. It is powered by the Apple A8 chip and 64-bit architecture, sports an 8-megapixel iSight camera with Focus Pixels. It sports a 4.7-inch screen and measures at 138.1×67.0x6.9mm.